Our caring staff members are knowledgeable and experienced with animals and are all dedicated to providing the best care throughout your pet's lives. Our certified technicians are qualified for nursing care, client education, dental treatments, radiology, laboratory and anesthetic procedures. We pride ourselves in our friendly staff, quality services, and our long lasting relationships with pets and their families. We look forward to providing care for your best friends throughout their lives! 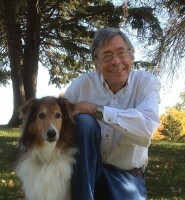 Dr. Gatto completed his undergraduate studies at Colorado State University and graduated from the University of Minnesota, School of Veterinary Medicine, in 1985. His entire career has been spent in private practice, beginning with a mix of large and small animal medicine in Morris, MN. Dr. Gatto has been the owner of Best Friends Animal Hospital since 1994. He lives with 1 goldfish (Hobart), 2 dogs (McGyver and Muldoon) and a bird (Smokey). Dr. Metzen completed her undergraduate studies at the University of Minnesota and graduated from the University of Minnesota, School of Veterinary Medicine, in 2002. 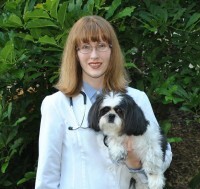 She has a passion for dermatology and specializes in Bulldogs and Shih Tzus. Dr. Metzen currently has one Shih Tzu named Joe.